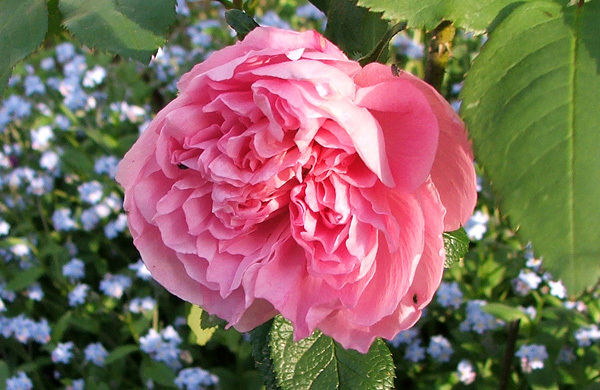 The small garden immediately outside the big bay window features Mary Rose, one of David Austin's famous English roses. 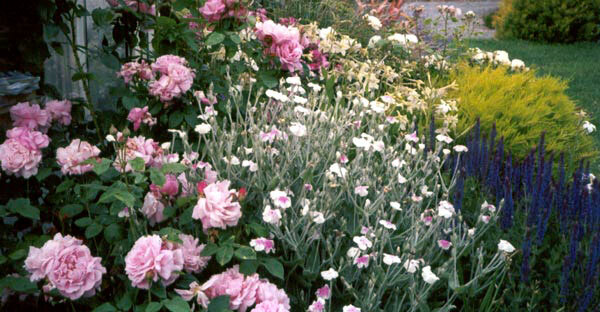 There are also white Flower Carpet roses planted in here, with lots of self-sown blue forget-me-nots. Both these following photographs are from the Moosey Archives, taken in the summer of 1998. 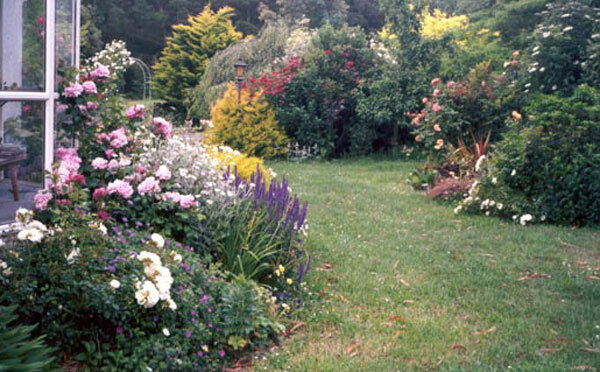 The Mary roses are grown on their own roots, and have to survive some dry times in this garden. Unfortunately they are not as healthy as grafted bushes. The lawn sweeps around the small bay window garden to the gardens beyond. The Island Bed is on the right, and there is a grass path which leads through to the Driveway Lawn. This area always look great when the lawns are mowed. The thing I notice looking at these old photographs is how much the permanent plantings in the background have grown. Take that shrubby conifer in the distance, for example - I wish it was still this size!